The McLean Citizens Association (MCA) is mulling a call for more local police funding in the face of rapid development in Tysons. MCA is set to discuss the funding resolution at the group’s Board of Directors meeting this Wednesday (April 3). The proposal calls for increased funding to Fairfax County Police Department’s McLean District starting with the next county budget. The station’s McLean name can be a bit misleading — the McLean Police District covers not just McLean, but Tysons, Merrifield, and the Wolf Trap area near Vienna. In the Fairfax County proposed budget’s five-year staffing plan, police staffing in Tysons is scheduled to gradually increase in the urban areas, but the implementation of this staffing increase is set to be deferred from the upcoming Fiscal Year 2020 budget. County Police Department assesses that the McLean Station needed 6 more officers by 2019, 29 more officers by 2024 and a total of 65 additional officers by 2029 just to keep pace with the growth… given that it takes nine months for new officers to complete training, it is critical that the County take steps in the very near future to make a ‘down payment’ on implementation of the McLean Station staffing plan. The resolution urges the Board of Supervisors to begin implementing the McLean Station staffing plan, including reassigning some newly-trained recruits to the McLean District’s “Tysons Urban Team,” starting later this year. 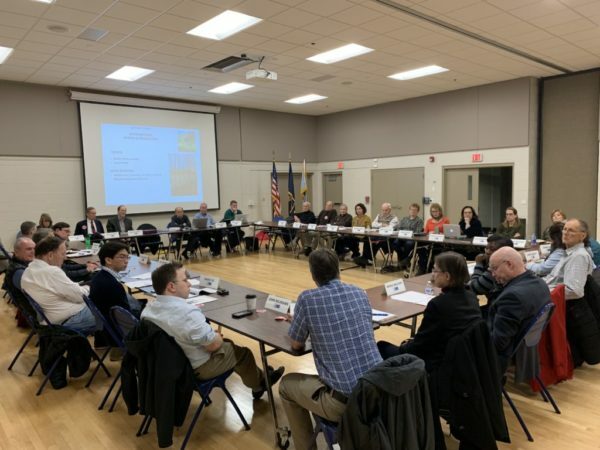 While McLean residents are mostly satisfied with what’s in this year’s county budget proposal, the McLean Citizens Association (MCA) takes issue with one item that isn’t: body worn cameras. A pilot program for body-worn cameras was implemented through 2018 and a report on the findings of the program are expected sometime this spring, but funding for the program is not included in the police budget for FY 2020. At tonight’s MCA meeting, the board will vote on a resolution to recommend body worn cameras be included in the budget. Equipping police officers with body worn cameras is beneficial to both police and the community. 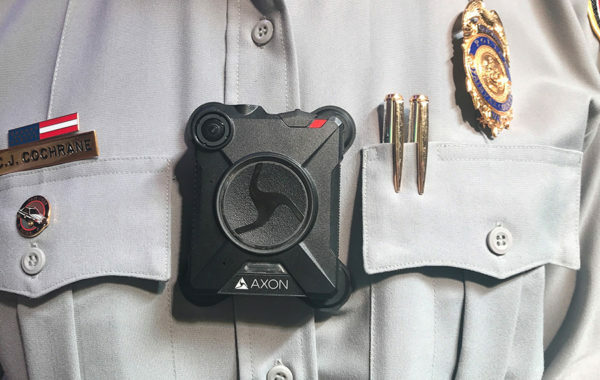 [Body-worn cameras] can accurately record law enforcement actions and thereby capture evidence pursuant to investigations, reduce the number of complaints filed against officers, and provide additional safety for our officers as they patrol the streets. The cameras also increase transparency, accountability, and trust between the police and community, which has been an issue nationwide over the last several years and is particularly relevant to our community with the recent killing of Bijan Ghaisar by U.S. Park Police. The killing of Bijan Ghaisar was controversial partly because videos from dashboard cameras released by Fairfax County Police that seemed to show no threat to U.S. Park Police when they shot Ghaisar. Last year, on the anniversary of the shooting, the MCA approved a resolution pushing for more transparency in the investigation and praising the Fairfax County Police for releasing the video. This isn’t the first time body-worn cameras have come up in budget discussions. At an earlier Board of Supervisors meeting on the budget, several board members expressed concern there was no funding identified for the program. Staff said at the meeting that they were waiting for the results of the pilot evaluation to add funding. 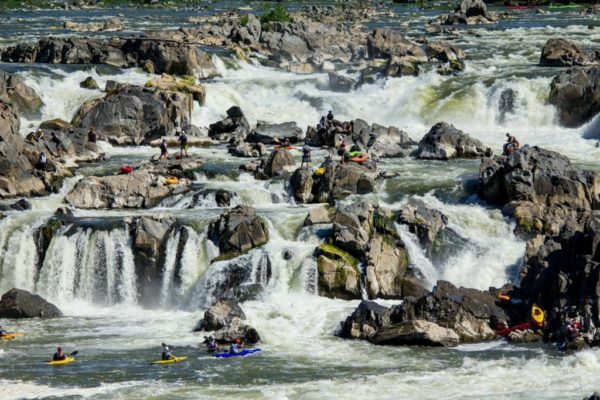 It’s a little outside the usual area for weekend events, but volunteers are needed to help clean out the river access at Great Falls on Saturday. If enough volunteers arrive to clear out the ravine in one day, the National Park Service will re-open river access from Great Falls on Sunday. The National Park Service will provide trash bags, gloves, and pickers. Volunteers should meet at the top of the ravine, near Overlook 3, and wear sturdy shoes. Meal Packing: 75K Meals for 75 Years (10 a.m.-1 p.m.) — To celebrate its 75th anniversary, the McLean Presbyterian Church is hosting a meal packing event. The goal is to pack 75,000 meals for people in need. Lunch for volunteers will also be provided. Swolemates Bootcamp (10:30-11:30 a.m.) — The Tysons Sport & Health at 8250 Greensboro Drive is offering a free training session tomorrow morning. Non-members, as well as members, are invited to the free work-out event. The event is themed around partners, but singles are invited as well. The workout session will be followed by a raffle with dozens of prizes from local partners. Supervisor and School Board Candidate Meet and Greet (1-3 p.m.) — Dranesville District Supervisor John Foust and School Board candidate Alicia Plerhoples are hosting a meet-and-greet at 1815 MacArthur Drive in McLean. The event is aimed at getting feedback from residents of the Chesterbrook neighborhood on what the important issues are in the area. I Love McLean Party (3-6 p.m.) — The McLean Citizens Association is hosting a celebration of all things McLean at the McLean Community Center (1234 Ingleside Ave) with music from a local school choir and a meeting with various community leaders. Valentine’s Day Wine and Book Tasting (3-5 p.m.) — Bards Alley and The Vienna Wine Outlet are teaming up to host a romantic Valentine’s Day event. The sampling will be hosted at Bards Alley (110 Church Street NW) and is free, but RSVP is requested. All You Need Is Love (7 p.m.) — Jammin’ Java is hosting its annual tribute to the Beatles and love songs in general. Tickets to the event are $16. (Updated 9:30 a.m.) After a protracted battle with the National Park Service, Claude Moore Farm in McLean closed last year. While the lot currently sits fenced off, it’s still unclear what will happen to the farm next. In December, the park service released a statement saying discussions on the park would begin in early 2019. Early in the new year, the NPS will invite the community, the farm’s volunteers and any interested parties to share their vision for the park’s future. The public engagement process will help to determine what happens next and when. The NPS will listen to people’s ideas about how they would like to enjoy the park. Should the NPS offer farm activities, return the area to its natural state, provide connections to neighboring trail systems or something else altogether? The NPS will not pursue any kind of commercial development or sell the property. But a month and a half into 2019, NPS representatives say no concrete plans for those meetings have been made yet. The NPS and the organization that managed the park, Friends of Claude Moore Colonial Farm, had a long history of sparring over administrative and financial oversight. A 2015 report demanding more oversight at the farm started the final round of conflict between the two organizations that ended with the NPS shuttering the park for good at the end of 2018. 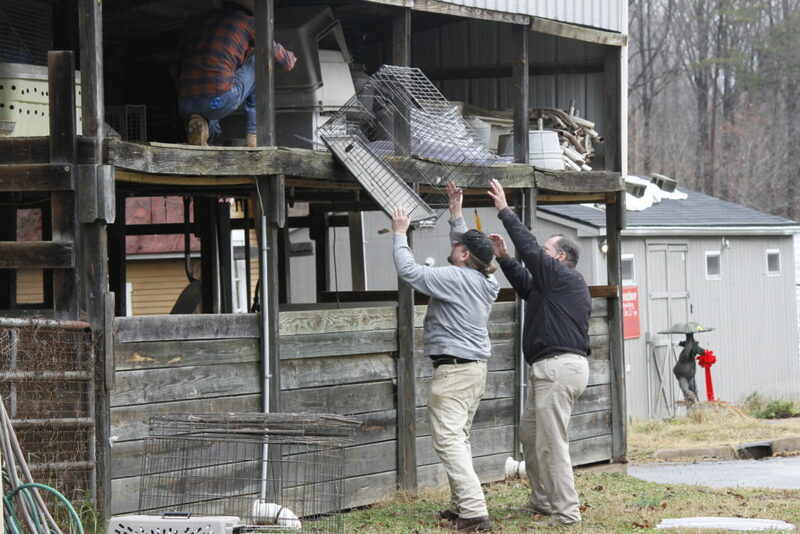 But even if the NPS has nothing planned, the McLean Citizens Association said at a board of directors meeting on Wednesday that they are going to begin considering suggestions for new uses for Claude Moore Farm. (Updated at 10:50 a.m.) The McLean Citizens Association is one of the most active civic groups in the area, but it’s an organization largely unknown to many of the residents they represent. At last night’s (Wednesday) Board of Directors meeting in the newly reopened McLean Community Center, President Dale Stein said the organization’s reliance on local print publications to get the word out about events and the ongoing priorities of the organization is insufficient. Local papers have been growing thinner and delivery has been inconsistent, resulting in less visibility for the association’s announcements, he said. Stein said the organization is going to need to join the 21st organization and find new electronic methods of communication. In the absence of a local government, the MCA is one of the most prominent local voices on McLean issues. Over the last few months, the group has spoken out on issues from the color of local streetlights to the shooting of a local resident by the U.S. Park Police. But Stein said there have been several occasions where he’s been at public events around McLean where local residents had never heard of the organization. Other members of the Board of Directors shared similar experiences, where those the organization represents had no idea of its existence. The organization does have a Facebook presence, but only has some 330 “likes.” Its website, meanwhile, is rudimentary and not optimized for viewing on mobile devices. Stein said part of the solution will involve forming closer partnerships with other local organizations. According to Stein, the group was approached recently by the McLean Project for the Arts about setting up a table at this weekend’s I Love McLean party. Stein and other board members said they would be inclined to allow the organization to set up — provided the MCA gets to set up a table at the hugely popular annual MPAartfest in October. Also discussed: more external outreach via members with public relations experience. The board voted to put together a small short term committee tasked with putting together a plan to improve communications with the community at-large. (Updated at 5 p.m.) The Fairfax County Board of Supervisors has approved new zoning rules to try and make building elderly care facilities easier. At its Dec. 4 meeting, the board approved a new zoning district and land use category for continuing care facilities. The change creates a special set of zoning requirements for retirement communities and nursing facilities. Such facilities frequently combine residential and medical care operations, which were previously not allowed under Fairfax zoning code. The McLean Citizens Association (MCA) expressed support for the new zoning regulations, but also noted that there were concerns that the new proposals could create development incompatible with low density residential neighborhoods. We recognize the need for more senior housing and related facilities in an aging county, but also insist on rules that reasonably protect the character of low-density residential neighborhoods,” MCA said in a press release press release. The MCA resolution called for limits on waivers granted to projects with regards to issues like open space and sufficient parking. The MCA wasn’t alone in its concerns about the added density. The zoning ordinance includes a maximum building height of 75 to 100 feet tall. Clyde Miller, President of the Holmes Run Valley Citizens Association, spoke at the Board of Supervisors meeting to express concern that the density bonuses granted to for-profit senior living facilities were originally intended to be used by nonprofits. Continuing care for elderly residents is an issue of particular importance to McLean, where 30 percent of the population is age 55 or older. McLean’s older population is disproportionately large compared to the rest of Fairfax County, where the median age is under 40. The county has made some progress in providing senior living recently. 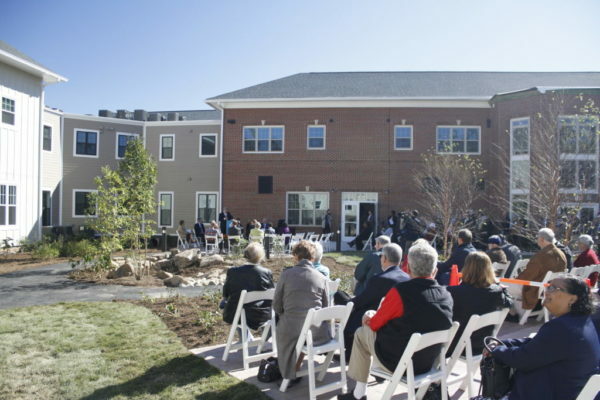 In October, new affordable senior living complex The Fallstead opened in McLean after a decade of planning and funding challenges. But McLean also has a history of struggling with the scale of elderly care facilities. In 2017, the Board of Supervisors rejected a proposal by Sunrise Senior Living to build a 73-room facility on a 3.79 acre lot in McLean after three years of arguments from local citizens that the facility would add to local traffic in an area already overburdened by schools, houses or worship and other senior centers. At the Board of Supervisors meeting, McLean District Supervisor John Foust praised the MCA resolution and said he shared their concerns about waivers for parking. Foust also noted that, depending on public transportation access, the Board of Supervisors can require additional parking for developments. The Board of Supervisors unanimously approved the zoning change. The McLean Citizens Association meeting tonight (Wednesday) is scheduled to feature an illuminating discussion on replacing the local streetlights with LEDs. The meeting is scheduled for 7:30 p.m. at the McLean Governmental Center (1437 Balls Hill Rd). 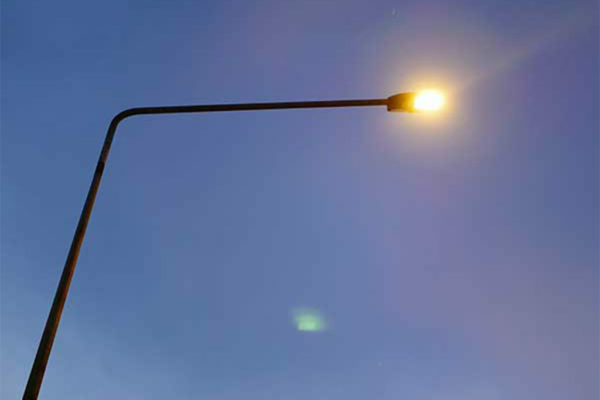 Over the next few years, Fairfax County plans to work with Dominion Energy to replace its streetlights with LEDs. A resolution under consideration at tonight’s meeting would endorse the County’s plans and recommend lower levels of blue light emissions. The aim of the resolution would be to improve the light’s impact on humans as well as local animals. Now, therefore be it resolved that the MCA supports Fairfax County streetlight conversions to LEDs with lower blue light emissions, at approximately 2,700 Kelvin. The resolution recommends updating the lighting ordinance to encourage warmer color temperatures as well as shielded fixtures to prevent upward light, adaptive controls such as dimmers, timers and motion sensors. Nearly one year after the shooting, there are no answers in the investigation of McLean resident Bijan Ghaisar’s death at the hands of U.S. Park Police. In addition to a resolution on VDOT’s ramp closure proposal, the McLean Citizens Association’s (MCA) Board of Directors is scheduled to vote tonight on a resolution to pressure Park Police and the FBI to release more information about the shooting of Ghaisar. Ghaisar, a 25-year old accountant who lived in the Tysons area, was shot on Nov. 17, 2017 by two U.S. Park Police officers who fired into his Jeep Grand Cherokee. Ghaisar died at Inova Fairfax Hospital on Nov. 27. The incident started when Ghaisar was rear-ended by an Uber driver and the driver contacted police. Park Police located Ghaisar’s Jeep and signaled for him to pull over, and on two occasions he did — before then driving off. Finally, on the GW Parkway south of Alexandria, Park Police officers moved in front of the Jeep and when Ghaisar tried to maneuver around, the two officers opened fire. 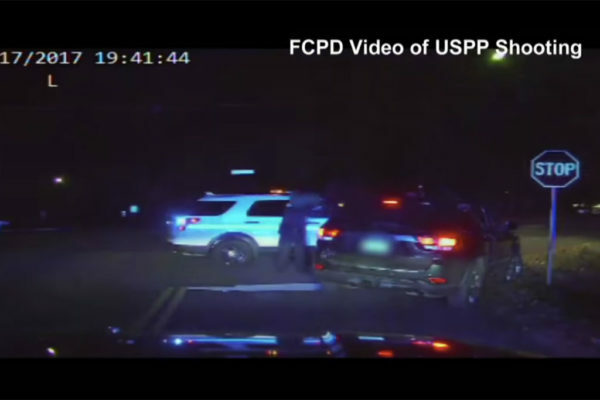 In December 2017, Fairfax County Police Chief Edwin Roessler Jr. released a dashboard camera video showing the pursuit and the shooting. After this, federal investigators took over the case. Since the FBI and Justice Department took over the case, little new information about the case has emerged. The resolution from the MCA urges the Park Police and FBI to disclose the reasons for the shootings, the identities of the police officers involved, and other results of the investigation. The resolution also commends Roessler for releasing the video of the incident in a timely manner. The MCA Board of Directors meetings are open to the public. The meeting is scheduled to be held at 7:30 p.m. tonight (Wednesday) in the McLean Government Center (1437 Balls Hill Road). (Updated at 6:50 p.m.) There’s skepticism in McLean about a plan to close Beltway access during weekday afternoons, but the McLean Citizens Association may vote to support a pilot phase for the project. 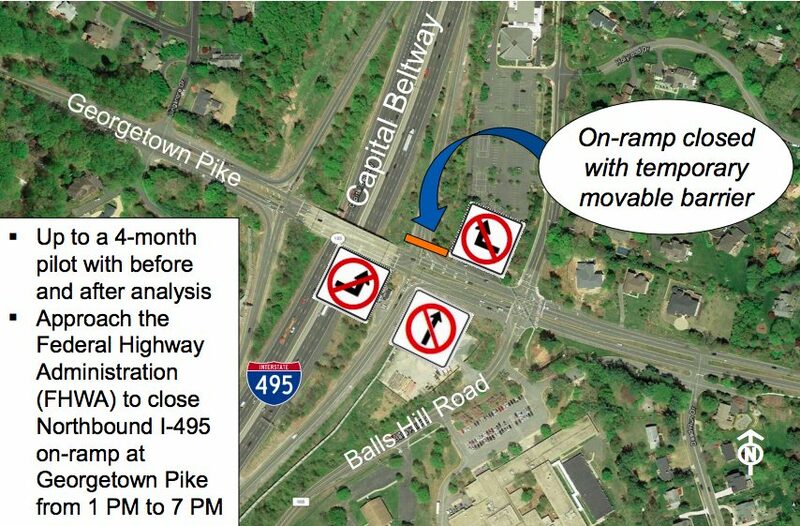 Tomorrow evening, the McLean Citizens Association (MCA) Board of Directors is scheduled to vote whether or not to endorse the Virginia Department of Transportation’s (VDOT) pilot program for a controversial proposal to close the northbound ramp from Georgetown Pike onto the Beltway during evening rush hour. The MCA Board of Directors meeting is open to the public and will be held at 7:30 p.m. in the McLean Government Center (1437 Balls Hill Rd). The logic of the MCA’s resolution is that the four-month inconvenience of testing the closure is better than a more permanent change based on traffic model predictions alone. Among alternatives proposed by the MCA to closing access to the Beltway would be tolling the ramp. The proposal stems from the heavy amount of cut-through traffic driving through the largely residential McLean streets to avoid traffic jams on the Beltway. The northbound ramp from Route 193 (Georgetown Pike) onto the Beltway in McLean is the last entrance before the American Legion Bridge, a major bottleneck for regional traffic. 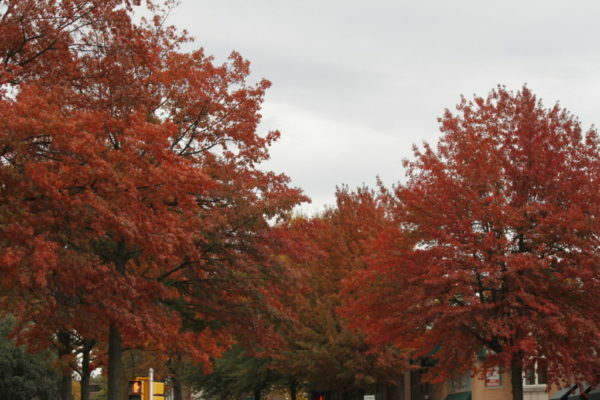 The problem has been exacerbated by the rise of apps like Waze and Google Maps, which encourage Maryland commuters to use McLean streets as a shortcut, according to local residents. VDOT’s proposed pilot program would close the northbound ramp from 1-7 p.m. on weekdays for a four-month trial, during which VDOT would collect data on whether the closure was successful in reducing cut-through traffic. VDOT has previously held two meetings on the subject, during which most of the feedback was critical of the proposal. Residents in McLean and Great Falls said the proposal would force residents to take a more inconvenient route to access the Beltway. The MCA’s resolution expresses support for the VDOT proposal on the grounds of testing the proposal rather than relying on traffic models alone. The resolution says that the testing the proposal as a pilot project would show the real-life impact of the change. Also under consideration is an alternative proposal put forward by one member of the MCA, which calls for VDOT to halt all consideration of the project entirely.